Gold Canyon United Methodist Church 6640 S. Kings Ranch Rd. 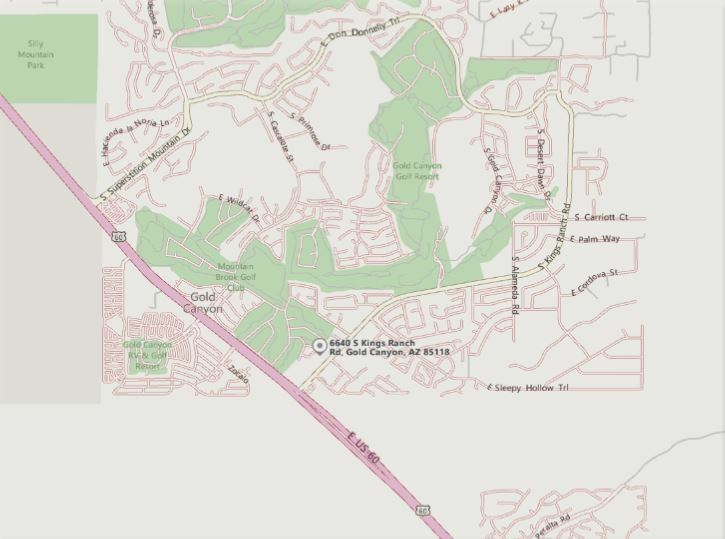 The 20th Annual Gold Canyon Arts Festival is a one-day event which will be held on Saturday, January 25, 2020 on the grounds of the Gold Canyon United Methodist Church 6640 S. Kings Ranch Rd. in Gold Canyon, Arizona 85118. Many artists and participants say this is the 'best one day' show they've experienced. The venue offers good parking and drive-by visibility. Typically 85-90 artists are jury selected to show their work. Our attendance is over 4,000 during Festival hours of 9:00 am - 4:00 pm. Reserved artist spaces are 10ft x 10ft (tents are recommended but not required). The application fee is $25 and, if selected, the Festival fee is an additional $125 plus a contribution of a piece of your art to support the Gold Canyon Arts Council’s School Residency programs. Artist Hospitality Volunteers are available to allow for breaks. Restrooms are available inside the church. The Festival features live musical entertainment throughout the day and a variety of professional food vendors. Admission to the event is free and there is ample free parking at the Festival venue. Artists are expected to be able to set-up and take-down booths. However, student helpers may be available for assistance. Arts Council volunteers will be available to 'booth sit' (no selling) to allow for food and rest room breaks. Artist shall abide by rules and regulations regarding sales tax collections and remissions. Applicant is responsible for providing a tent (not required, but recommended) and all display apparatus. Check-in and set-up is from 6:00 am - 8:30 am on the morning of the event. Applicants will be assigned a Festival entry point and off-site parking along with their booth assignment. IT IS CRITICAL THAT ARTISTS REMOVE THEIR VEHICLES FROM GUEST PARKING TO THEIR ASSIGNED SPACES BY 8:30 A.M.
Laws/Codes/Rules: Applicants must comply with all Festival, county, and state laws, rules, regulations, and policies contained in this application, or policies included in the Applicant Acceptance notification. Any noncompliance, at the sole discretion of the GCAC, may cause the Applicant to be removed from the Festival with no refund of fees or compensation for expenditures. The Gold Canyon Arts Council is not liable for refunds or any other liabilities whatsoever for Applicant's failure to obey the rules and regulations or due to unstable conditions in the area in which the Festival is held,caused by, but not limited to, weather, fire, or other calamity, and act of nature, public enemy, strikes, ordinances of any legal authority or any other cause beyond the Council's control. Hold Harmless: By completing the Application Process and participating in the Festival, the Applicant releases and holds harmless the Gold Canyon Arts Council, the Gold Canyon United Methodist Church, and all Festival sponsors and volunteers from any and all liability. Images: Applicants agree that images provided will be used in the Jury process and may also be used for specific event-related publicity. Any other proposed image usage will be arranged through a separate consent agreement with the Applicant. Event participants agree to allow use of any videos and photographs taken at the Festival for promotional purposes. Any photos taken by the Council at the event are the property of the Council. Taxes: Artists retain all revenues from sales made at the Festival. It is the responsibility of the Applicant to collect and remit all applicable state and local taxes.